Our Complete Range of Home Designs. 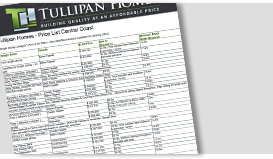 Split Level Homes in conjunction with Tullipan Homes, offer a wide range of over 60 carefully thought out floor plans for single storey, double storey, split level and acreage homes. Searching in that specific category such as ‘Upward sloping high side of the street’, is a great way to start your search for the home plan of your dreams. We are happy to carry out a site inspection on your land to determine the category of home designs suited to your site conditions. However, you are not limited to home designs within your land category. For example, any of our standard range of single or double storey home designs can adopt bearers and joist construction in order to accommodation all types of sloping site conditions. Likewise, any facade option can be applied to your desired floorplan layout without complications. Should your desire by a Tuscan, Americana, Contemporary, Federation or Custom home facade, we have the ability to satisfy your needs. We can also apply features like raking, high ceilings, upstairs living areas and cavity brick construction to any of our standard designs. Each environment has an individual character, some that are easy to harness where the creative mind quickly captures the essence of nature present, and helps the concept flow easily onto the sketchpad; others can take more time and perseverance. Whether easily achieved or only through persistence, our designs will reflect the passion with which we approach the outer appearance and sustainability in design. 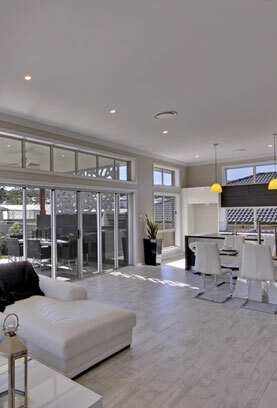 We aim to provide an environmentally friendly design that will achieve a level of natural air-conditioning, and producing a house that will save on heating and cooling costs, and be in great demand due to our smart internal layout and street appeal. From concept sketches to a complete turn key construction, from your typical suburban home to waterfront property or beachside living, Tullipan Homes provide a full service. With a thorough knowledge of the latest materials, technology and construction methods, Tullipan Homes combine solid construction experience, artistic flair and sound architectural design to provide our clients with a valuable asset without the typical compromises of the mass-produced market. Through our innovative design team we offer individually designed, asthetically appealing home designs to suit each new client specifically, and the environment they wish to live in. Discerning homebuyers look for a home that reflects their personality, provides for their needs & meets their desired budget. There are many circumstances that influence our clients’ design criteria from the composition of their family, their age, health, incomes, lifestyle, belongings, interests and preferences. Every client and every block of land is different, some want to tackle that challenging land slope in the most cost effective way, some want space, some want appeal, most request the wow factor. 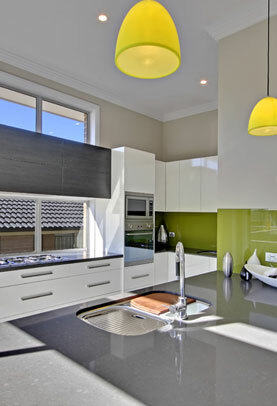 At Tullipan Homes we provide for peoples’ lifestyle through design, not just build another house. At Tullipan Homes, you’ll be proud of our work.